Direct Mail is one of the best ways to reach voters and win a local election — yes, even in the digital age. Many will disagree and argue with me on this point. They’ll say mail is finished and there are other more modern and better ways to reach voters. They will be passionate in their beliefs, but they’ll still be wrong. Despite innovations in technology, direct mail remains the most effective and affordable way to get your message directly to a targeted universe. Targeting your political mail to voters you know will be most receptive to your message, and to those that are actually going to vote, is key to winning an election. Ads on cable, radio, Pandora, in newspapers, on billboards, and so forth are limited in their ability to deliver your message to to your voters. These efforts are much like throwing a handful of mud against a wall to see what sticks. However, there is something to be said about Facebook ads that are properly targeted and done correctly. Political direct mail unlike other forms of campaign advertising is like a well aimed rifle shot. Your ability to target your mail is limited only by your imagination, your team’s talent, and your campaign’s resources. Winning a campaign is about counting votes. And the most competitive elections are won by tight vote margins. Direct mail allows you to reach ALL targeted likely voters in your universe. It provides you the opportunity to develop a winning vote margin. And only a targeted mail program is going to allow you the ability to really know if your message is being delivered and resonates. The cost of reserving billboard space and printing a huge billboard ad, purchasing newspapers ads, or putting television and radio spots in most markets is very high. The argument is that more people will see a billboard or a television commercial, read a newspaper ad, or hear a radio spot. Billboards really don’t work. They are more about stroking a candidate’s ego than gaining votes. In the age of cord-cutting and subscription music services, running ads on radio and TV for a local race just doesn’t make sense. And newspapers are going out of business all the time, especially local ones that no one seems to really read at all anymore — even online. Money is frequently wasted in such marketing ventures by campaigns because these ads are not only not seen, but they are not targeted and hit too many people outside of your voter universe. Political direct mail on the other hand is cheaper per unit then these these old school alternatives and you will know exactly who you are reaching. With targeted direct mail you can pull out non-voters and those that you know won’t vote for you. You will not waste money communicating non voters. One of the most effective tools with direct mail is the ability to use variable messaging and to personalize your mail. This is easiest with letters but with advances in digital printing it can even be done with glossy mailers. Variable messaging in a nut shell is simply making sure that each variable group (women, men, seniors, millenials etc.) within your targeted universe receive a specific message or variation of that message or an appropriately targeted graphic. If you have a highly ethnic population and can identify language preferences (good data vendors can do this), personalized mail can afford you a better ability to reach those voters. Personalized messaging makes the content personal to the recipient, that is, naming a specific person (E.G. Dear Mrs Jones). Using variable and personalized messaging while targeting the right message to the right demographic or individual person will win you more votes. Variable and personalized messaging can save you money as well. You will not be printing and mailing separate jobs. Your mailers may have different content and images, but because the pieces are digitally printed it can all still mail as one job. For this though, you will need to find a mail house and printer that can pull this sort of thing off but when you do it will help you win an election day victory. With most media, electronic or print, you will not be able to properly reach your total targeted universe. As I’ve already stated, not every voter in your targeted universe watches television, reads the newspaper, listens to the radio or watches television on a daily basis. Additionally, and you may find this hard to believe but not everyone checks their emails every day. A lot of people effectively use spam blockers and keep out almost anyone they don’t know. There is a large chunk of people who are not on Facebook or who are now limiting their uses of the platform for other forms of social media. But every registered voter has an mailing address and still gets snail mail. Almost everyone checks their mail box – you kind of half to or you could get yourself in trouble – jury summons – tax information – and many others important items still come to you in the mail. When you come home from work it is difficult to ignore a bunch of mail sticking out of your mail box. And if you do ignore it for too long you are going to have a pile of trash on your door step, and your neighbors are going to complain. Because you have a lot of options with mail it is easy to use this medium to grab voters attention. Copy, fonts, color, graphics, size and shape can all me used to your advantage. You can create a glossy self mailer, foldouts, flats, pop ups and letters. Talking mail is even possible. A few years back in a congressional race someone actually mailed a scratch and sniff. Political direct mail is not a one dimensional electronic presentation. It is real. Voters can touch it, feel it, smell it, and with talking mail, they can listen to it. With political direct mail you are not one of several dozen email lines that’s easy to delete. It is much easier to stand out among a half dozen pieces of mail in a mail box. Remember, when people get snail mail, before they toss it out, they look at it and make sure it is not something important. A stack of mail sitting on the coffee table will eventually be sorted. If your campaign team has done their job there is a good chance your piece will get noticed. When running for office DO NOT let someone talk you out of political direct mail. 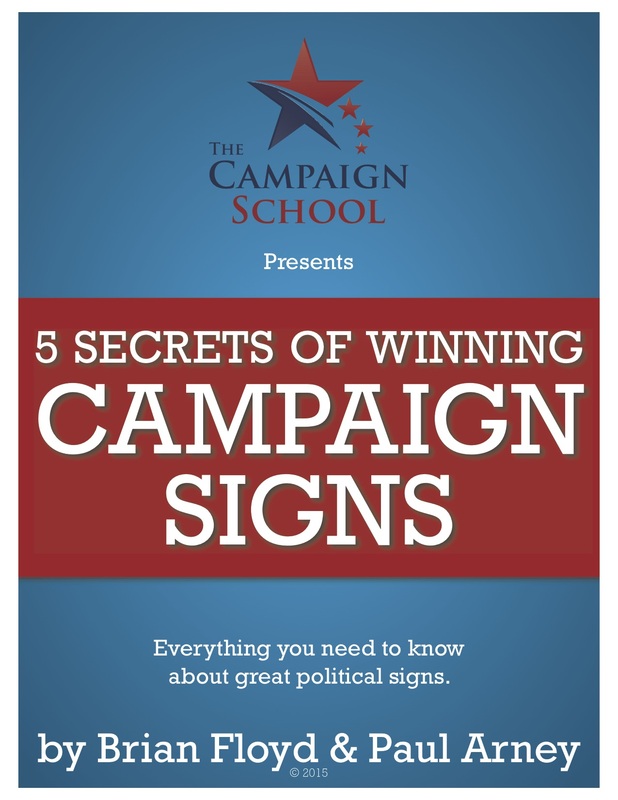 Billboards, newspaper ads, television and radio all have a place in campaigns. Most campaigns benefit from an online presence and social media. But for local campaigns, political direct mail almost always wins the day. With modern technology, better data management systems, and new methods in printing and design, producing and targeting quality direct mail is easier and more cost effective then ever. Even postage price increases have not diminished the cost effectiveness of mail. A good mail house should be able to make sure your are not spending more than necessary. When you send political mail bulk, it is Red Tagged – meaning the U.S. Postal Service treats it as first class mail even though your campaign is paying third class postage prices. When running for local office and someone tells you not to waste your time with mail, here what you need to do: Ignore them. Because if you are not doing direct mail in your political ampaign, then you really don’t have a campaign.